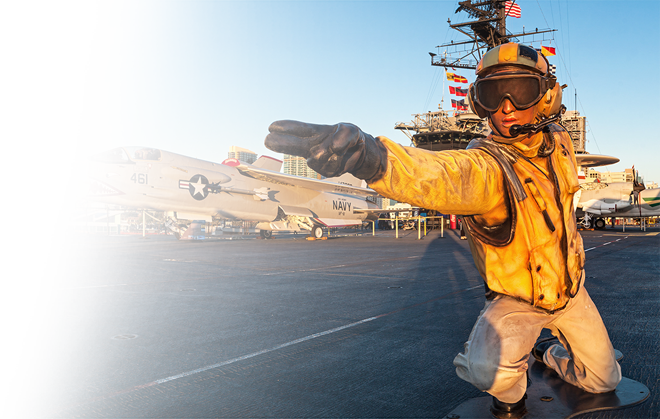 The USS Midway was the longest-serving aircraft carrier in the 20th century. 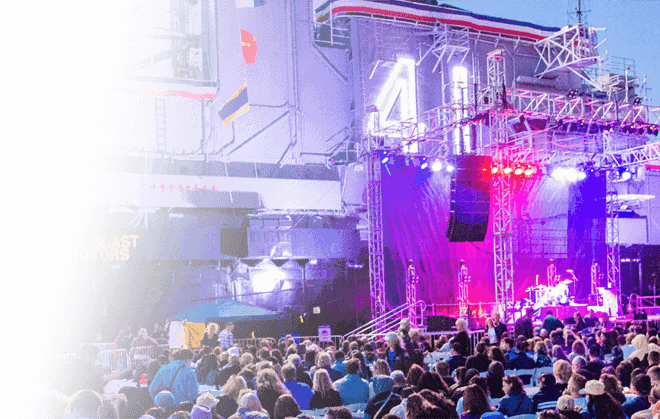 Named after the climatic Battle of Midway of June 1942, Midway was built in only 17 months, but missed World War II by one week when commissioned on September 10, 1945. Midway was the first in a three-ship class of large carriers that featured an armored flight deck and a powerful air group of 120 planes. 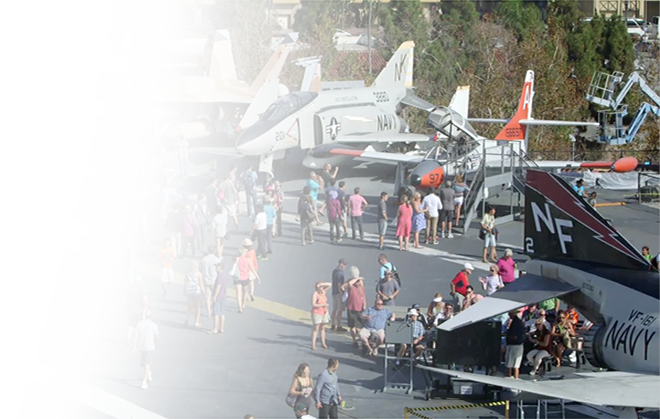 Midway’s first combat deployment came in 1965 flying strikes against North Vietnam. Midway aircraft shot down three MiGs, including the first air kill of the war. However, 17 Midway aircraft were lost to enemy fire during this cruise. In 1966 Midway was decommissioned for a four-year overhaul. 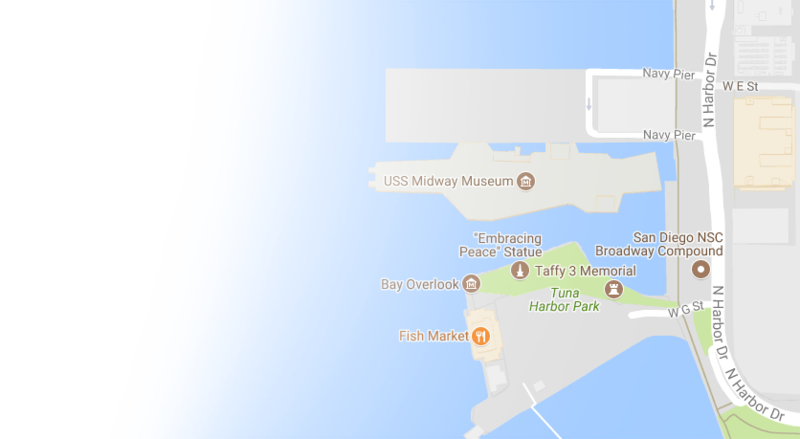 Over a chaotic two day period during the fall of Saigon in April 1975, Midway was a floating base for large Air Force helicopters which evacuated more than 3,000 desperate refugees during Operation Frequent Wind. In 1990 Midway deployed to the Persian Gulf in response to the Iraqi seizure of Kuwait. In the ensuing Operation Desert Storm, Midway served as the flagship for naval air forces in the Gulf and launched more than 3,000 combat missions with no losses. Its final mission was the evacuation of civilian personnel from Clark Air Force Base in the Philippines after the20th century’s largest eruption of nearby Mount Pinatubo. Operation Sandy: The only successful launch of a German V-2 rocketfrom a ship, the dawn of naval missile warfare. First successful landing using “Hands Off” auto-pilot technology. Midway pilots shoot down first MiG of the Vietnam War. Midway pilots shoot down last MiG of the Vietnam War. Leads the evacuation of Saigon; rescues 3,073 refugees in two days. Flagship of Persian Gulf air operations in Operation Desert Storm. Rescues 1,800 Americans fleeing Mt. Pinatubo eruption. Decommissioned in San Diego, California. 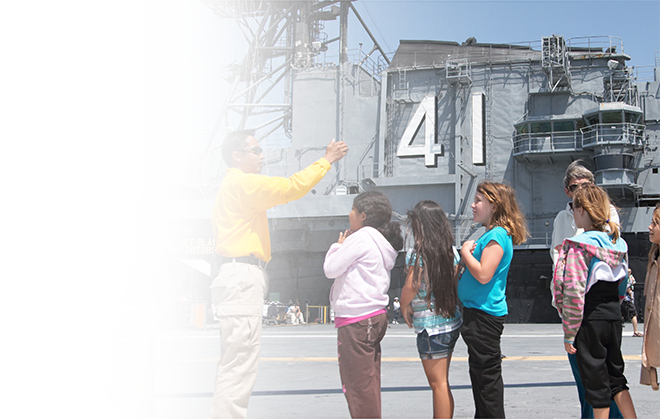 Opens as the USS Midway Museum in San Diego. Surpasses 5 million visitors since opening. 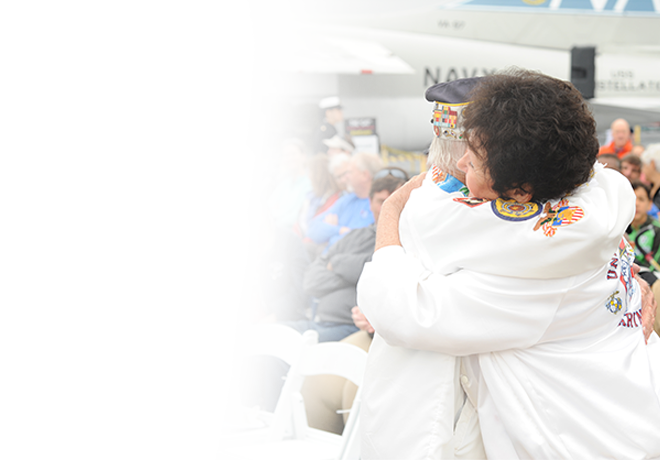 First Navy ship museum to host 1 million visitors annually.